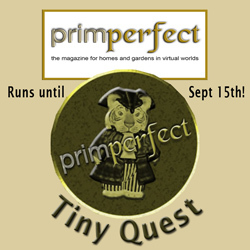 Prim Perfect’s Tiny Quest is on now! Following on from the success of our 5th Birthday Treasure Hunt and Quest in May, we have another special Quest in this month’s magazine—our Tiny Quest (which will run throughout the month of August until 15th September). And, because part of the Quest will be in Raglan Shire (our Region of the Month), which is the heart of the tinies’ community… we are going to ask you to find special tiny-themed tokens! The Quest has been organised for us by the awesome team behind the Whiz Hunts. You will need to find 30 gold tokens. 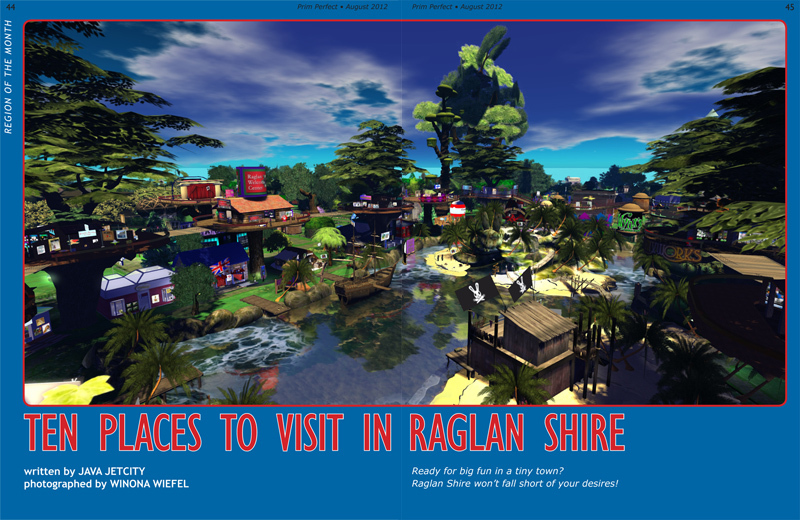 Those are hidden… in the Ten Places to Visit in Raglan Shire (10 tokens—see the article on Page 44 for details on those places and links to get there! ), at Prim Perfect Headquarters (5 tokens), in the Designing Worlds Studio (5 tokens), and in the pages of the magazine (10 tokens). Yes, that’s right—we are running part of our quest in the pages of our latest issue! As you read through the inworld edition of the magazine, look for the GIFT tabs on the left and right pages. You’ll see that some of these are highlighted, meaning that you can collect a gift. It might be a gift from an advertiser in the magazine… or it might be one of the special tokens for the quest—you’ll have to click the GIFT tab to find out! When you have collected all 30 numbered tokens, you rez a prim and then drop all of the sheep tokens into it. Rename that prim PPTQ – <<your avatar name>> and then send it to Whiz Wonder. Please note: You have to create the prim that you drop the tokens into yourself. Your name must show as creator of the prim. Make sure that all 30 tokens are in the box. If one or more are missing you will not be in the draw. Everyone who sends in a prim with all 30 tokens in it will get a confirmation before the draw. 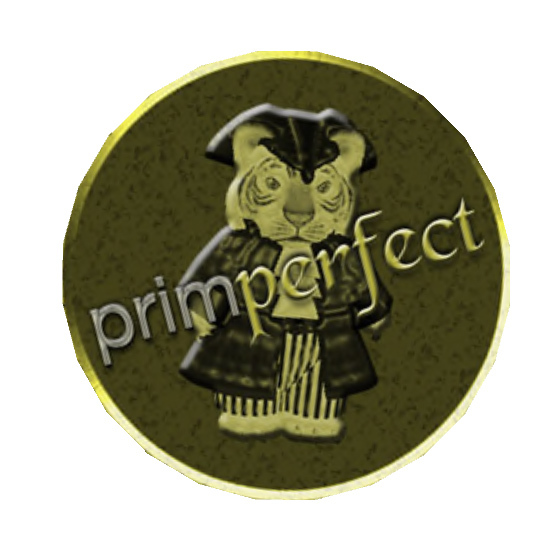 The prize for the Quest is L$5,000 supplied by Prim Perfect. In addition you will receive a super gift from the tinies of Raglan Shire. Please join the inworld group “The Whiz Hunts” for help and info. Let us know if you run into any problems on the way.